Adaptive buildings are green buildings. But the question is: how to measure green? A direct connection can be made between adaptive building and sustainability. Market developments show increased demands for flexibility and sustainability by users and owners as well as a growing understanding of the importance of a circular economy. Since 2014 a research project at the Delft University has been investigating the adaptive capacity of buildings. As one of the results several versions of an instrument to assess the adaptive capacity of buildings have been developed since. The last version FLEX 4.0, amongst others based on the support and infill theory of Habraken , is described in detail in this paper, including all flexibility key performance indicators, the different default weighting factors, their assessment values and some examples to determine the flexibility class of buildings. This paper thus presents a complete assessment instrument that can be used in practice. © 2016 The Authors. Published by Elsevier Ltd.
Peer-review under responsibility of the organizing committee of the SBE16 Tallinn and Helsinki Conference. The Canton Bern (Switzerland) Office of Properties and Buildings has adopted a radically new approach to the acquisition of public facilities. Having been used in the design and delivery of more than twenty projects (healthcare, university academic buildings, prisons, residential living, etc.) the approach makes a distinct separation between the long-lasting part of each building (called the Primary System) from the more changeable parts (Secondary and Tertiary Systems). 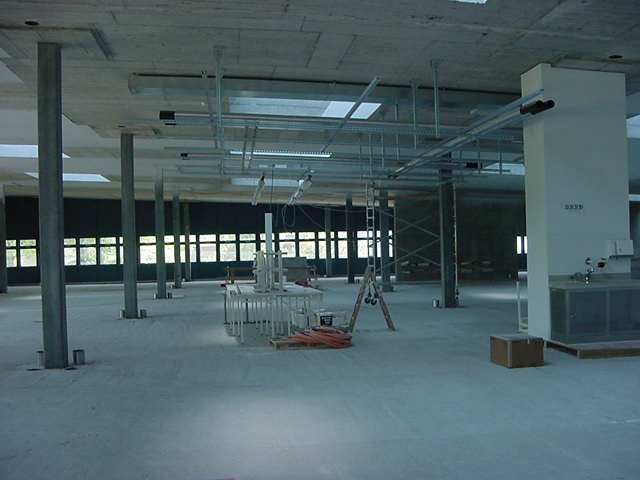 The first example was a very large hospital on the campus of the Inselspital Hospital in Bern – the INO. This is a report on that project. At the end of the report, information is provided on how readers can acquire a comprehensive report / evaluation of the projects, hosted by the client and attended by experts from several countries.